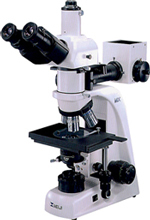 We can supply microscopes for all semiconductor and metallurgical applications. 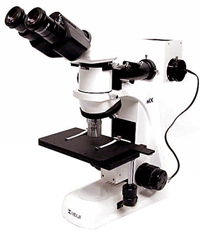 Our models range from basic 4” x4” travel reflected light systems to BF/DF/DIC models with motorized PC control stages to 12”x12”. 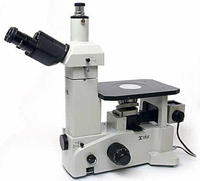 We have options for digital microscope cameras, wafer loaders, and precision measurement capability in all axis (x/y/z/ theta). Contact us for your requirements not found on the website. Inverted brightfield and polarized light metallurgical models. Infinity corrected long working distance optics. 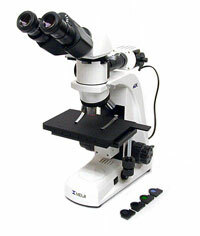 We can provide a range from simple compound microscopes to models with brightfield/darkfield/nomarski DIC modes. 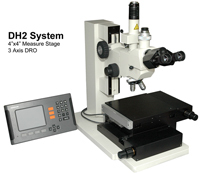 Additional options for precision measurement readouts for all axis.